“No man is an island, entire of itself; every man is a piece of the continent, a part of the main. Our thoughts and prayers to the people of Belgium. Posted on March 22, 2016 by lorigreerPosted in UncategorizedTagged Belgium, Brussels, death, John Donne, Terrorism. Next Next post: Award Time! Very profound especially the last line’s. I agree. My heart hurts for those who lost their lives and the people who loved them. So senseless. Unnecessary death is always an atrocity; may those who lost their lives not done so in vain. We traveled to Belgium in May and enjoyed ourselves immensely. We flew out of the Brussels airport and ate breakfast at the Starbucks mentioned in the news reports. My prayers go out to all of the families who lost loved ones and the wonderful residents who are just trying to live their lives along with my sincere wish for peace on earth for all of us. What a beautiful statement. We are all trying to live our lives as best we can and this is such a terrible reality of our times. Thank you for sharing. Well put Lori. We are all affected. Perfect post for the day, Lori. Shared on Fb. Perfect post in a very imperfect world. So very tragic. My heart goes out to all affected and I pray for peace. 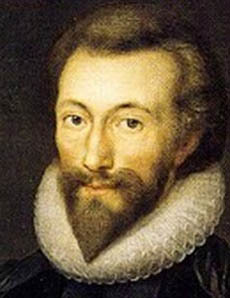 Love the metaphysical John Donne. Would that they who work so hard at creating heartbreak learn instead to love. lies of a corrupt system. It is a spiritual battle – a battle waging between one Kingdom and another. John Donne poem has great impact. thank you for the post. In his day he knew what spiritual Kingdom he belonged to. I have not read John Donne since college… Lori, thank you for reminding me that our struggles today are echoes of those from the times that have come before us. Maybe if we can remember John Donne’s words we can make the future a better place for all. Perfect post for us all to reflect on the world we live in. Very thoughtful and emotional post. Sending all my love to those people, they will need it the most. Thank you. My heart goes out to them. They are dealing with so much loss.